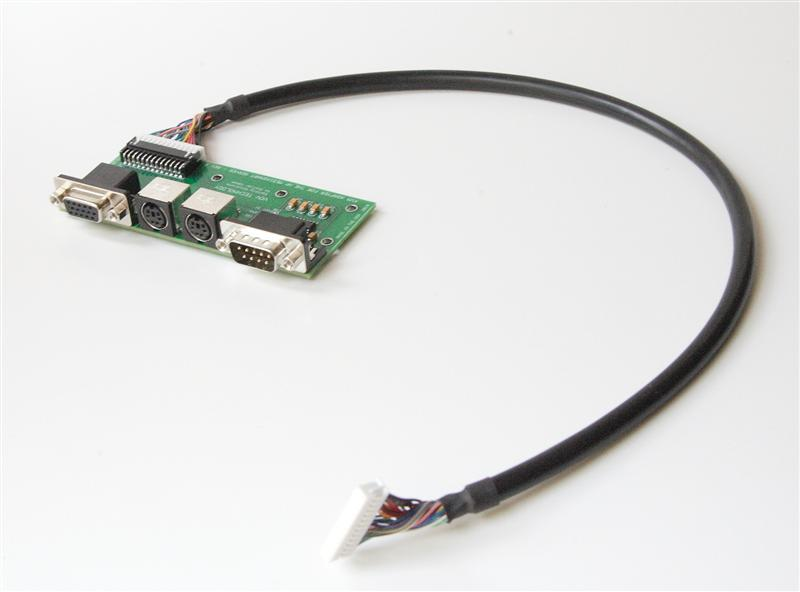 The MediaSmart VGA/PS2/Serial debug board from VOV Technology is very useful gadget which allows you to add a screen, or optionally a keyboard and mouse or even a serial device to your HP MediaSmart server to convert it from a headless appliance back to a fully functional PC. In addition to the HP MediaSmart and DataVault server families, the debug board is also supported on the Acer Aspire easyStore H340. — Buying is cheaper than building! 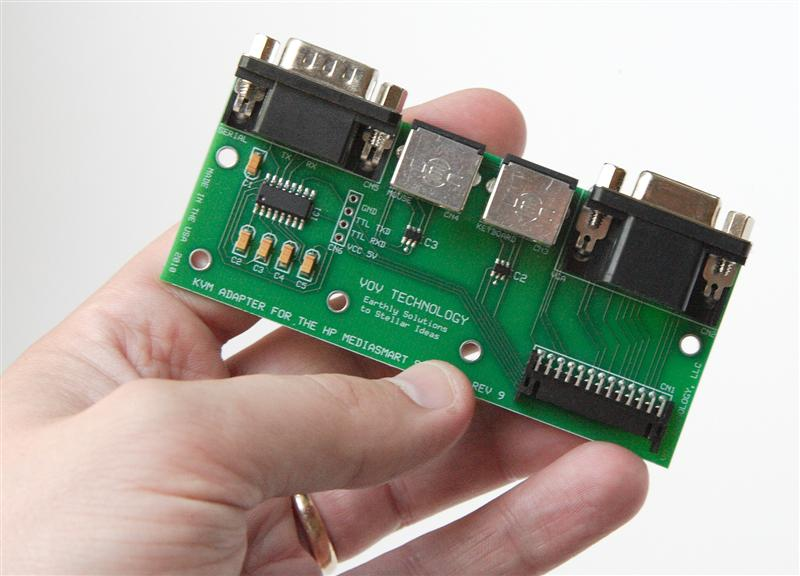 The debug board comes in three variants, VGA only; VGA + PS2 Keyboard + PS2 Mouse or VGA + PS2 Keyboard + PS2 Mouse + Serial Port. 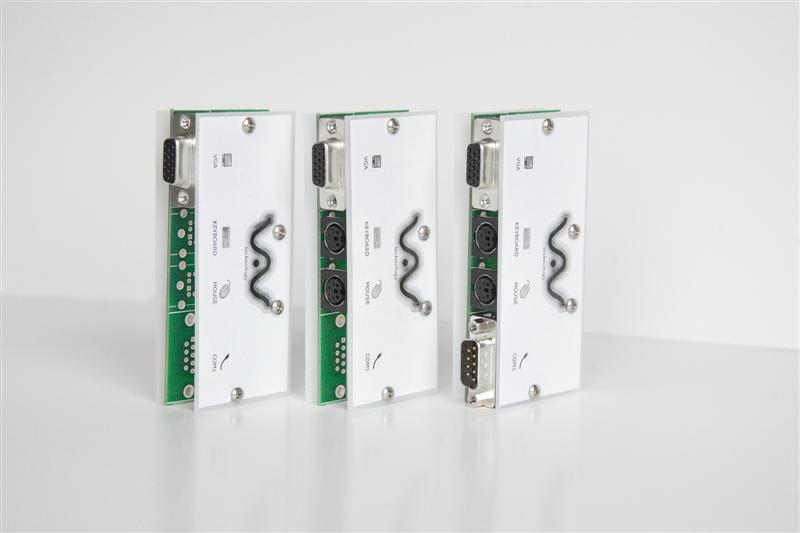 We tested the top of the line model with the serial port. 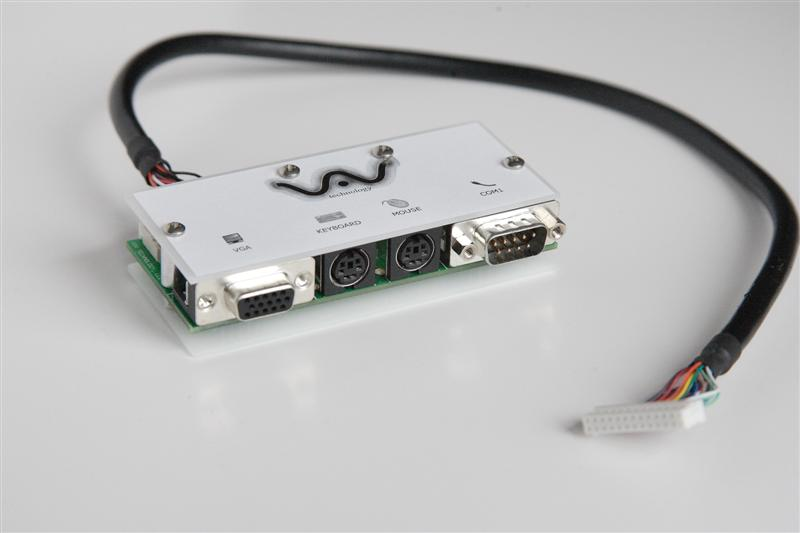 These days a serial port isn’t going to be useful to many people, home automation, UPS, weather stations or custom hardware controllers are possible applications for a serial port, so I imagine the mid-range VGA + PS2 will appeal to most people. The debug board is very well constructed and has a high quality look and feel which gave me no concerns or worries about connecting it up to my HP server. Installation will be very easy if you have ever opened up a MediaSmart server to change its RAM or processor, always be careful poking around inside your server and bear in mind that you might void your warranty on some servers. 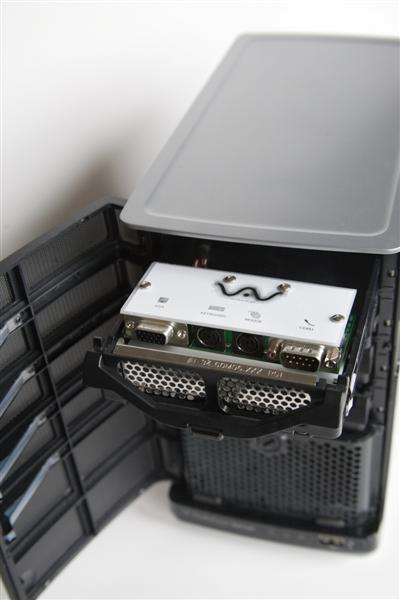 Opening up a MediaSmart server isn’t for the faint hearted or anybody who isn’t comfortable around PC hardware, so be sure you are happy to perform this installation. Once the server is open you will see the appropriate connector on the motherboard and it is a pretty easy thing to plug in the debug board. The biggest problem I had with the installation was removing the review debug board from the server so it could be returned; it was a really tight fit and needed plenty of wiggling to free it from the motherboard. One thing that was not clear to me was what to do with the board once it was connected, as there is no real exit point on the front of the server for the cable to come out. The image above is from VOV Technology and it shows the debug board taking up the upper drive bay. Although this keeps things neat and tidy, it won’t be an option for anybody who has fully populated their server with disks. Once installed, and with a screen, keyboard and mouse connected up, the MediaSmart server was booted up and I was immediately happy to see a normal looking BIOS screen, followed by the familiar (although not familiar on a MediaSmart server) Windows Home Server boot screen, and finally a Windows login prompt. Everything worked as expected, I was able to log into WHS using a directly connected screen and keyboard rather than using a terminal server connection. If this is all you do with the debug board, you are wasting the opportunity of unlocking the greater potential of your server. To illustrate what was possible with the debug board, I removed the normal Windows Home Server disks, and replaced them with some blank ones. Then Ubuntu was installed from a USB memory stick which went without a hitch, with all the onboard hardware being detected and configured without any issues. In use Ubuntu on the MediaSmart was the same as with any normal PC, and that is really the point here, you now have access to the missing capabilities that were already present on your server but were only missing the ports to access them. The debug board is not a device for everybody, but for those people who want to unlock the potential of their server. After installation you have converted your headless server into a normal PC capable of any compatible operating system or BIOS update. Ok, so there is one thing missing that really turns your server into a normal PC, and that is sound. Obviously a MediaSmart server has no onboard sound card, but external USB sound solutions are available and I imagine that one will work perfectly on your enhanced server. This is a really neat and quality solution, and you should have no hesitation from installing one of these boards if you want to really push the capability of you server to the max. Further details along with pricing are available here. Hello from Moscow, Russia ! You should be able to rebuild your server without one of these boards. All headless servers will have a restore mode and come with rebuild disks.